Vice President Mile Pence is cutting short his trip to Latin America so he can join the president at a meeting on South Asia strategy. The White House announced Wednesday that Pence would be traveling to Camp David with the president on Friday to meet with the White House national security team. 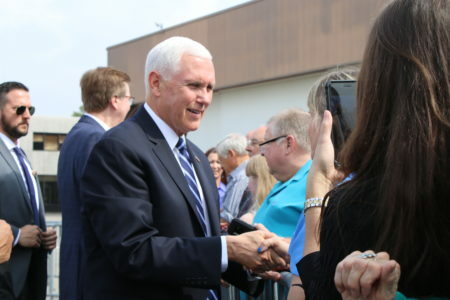 Pence had originally been scheduled to return home Friday afternoon. Instead, he’ll be leaving late Thursday. Pence is still scheduled to travel to Panama, where he will meet with the country’s president and tour the newly enlarged Panama canal before returning to Washington. Vice President Mike Pence is skirting questions about President Donald Trump’s Tuesday press conference. But he says he stands with the president. Pence was asked during a trip to Chile whether he agrees with Trump that there were good people among the white supremacists who protested in Charlottesville over the weekend and whether, as the president said, there was blame on both sides. Pence also said that, while he’s in Chile, “Our hearts are in Charlottesville” where a funeral for the woman killed during the protest is being held. Vice President Mike Pence is calling on Chile to “break all diplomatic and commercial ties” to North Korea. 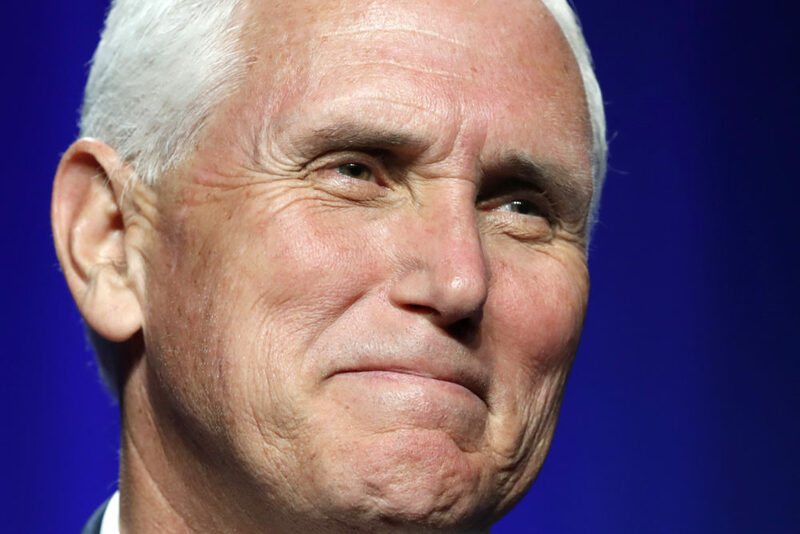 Pence says he made the request during a meeting with Chilean president Michelle Bachelet (bah-cheh-LET’) Wednesday. He’s making the same ask of Peru, Mexico and Brazil. North Korea has no diplomatic offices or banking institution in Chile, but the two countries do have a trade relationship. Pence says, “We are beginning to see progress” when it comes to North Korea, but says that “much more” must still be done. The Trump administration has been trying to pressure Pyongyang to halt its nuclear and ballistic missile program. Vice President Mike Pence is meeting with Chilean President Michelle Bachelet after arriving in the country. Pence headed from the airport to La Moneda presidential palace in Santiago, where the two exchanged greetings before private meetings. They’ll also be delivering a joint statement and having lunch together. Pence is scheduled to meet with U.S. embassy staff and their families before delivering remarks at a dinner on advancing prosperity and economic growth in the hemisphere. Pence is on a weeklong trip to Latin America that has included stops in Colombia and Argentina. He’ll head to Panama on Thursday. 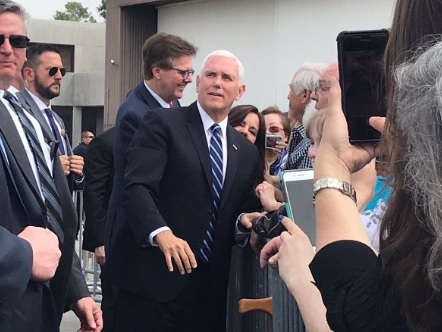 Vice President Mike Pence’s isn’t expected to take questions from reporters after meeting with Chile’s president — even though Pence’s public schedule had listed a “joint press conference” with Michelle Bachelet (bah-cheh-LET’). Pence spokesman Jarrod Agen tells reporters traveling with Pence that the leaders had never intended to take questions, at the Chileans’ request. That means Pence won’t face more questions about President Donald Trump’s response to violence between white supremacists and counter-demonstrators last weekend in Charlottesville, Virginia. On Tuesday, Trump blamed “both sides” for the violence. Pence is on a weeklong trip to Latin America to build ties with the region and speak out against the growing crisis in Venezuela. This story deletes reference to North Korea in 2:35 p.m. item to correct focus of meeting to South Asia. 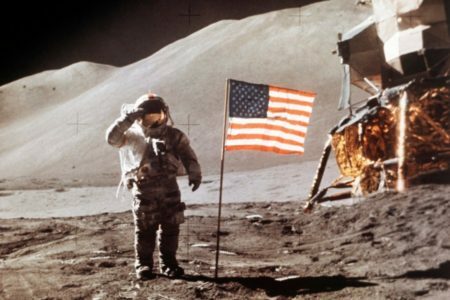 Can NASA Get Back To The Moon In Five Years?